Are you coming to The Memorial Stadium for the game against Play Up Pompey. ◊ ◊ ◊ Interviews with both Elis Harrison and Billy Bodin. ◊ ◊ ◊ ◊ A feature on Tyler Tucker-Dixon and a look at the BRFC Academy Under 10 group. ◊ ◊ ◊ ◊ ◊ Who has worn the number shirt 9 since 2000? Chris Dickson and Paul Heffernan. Who else? 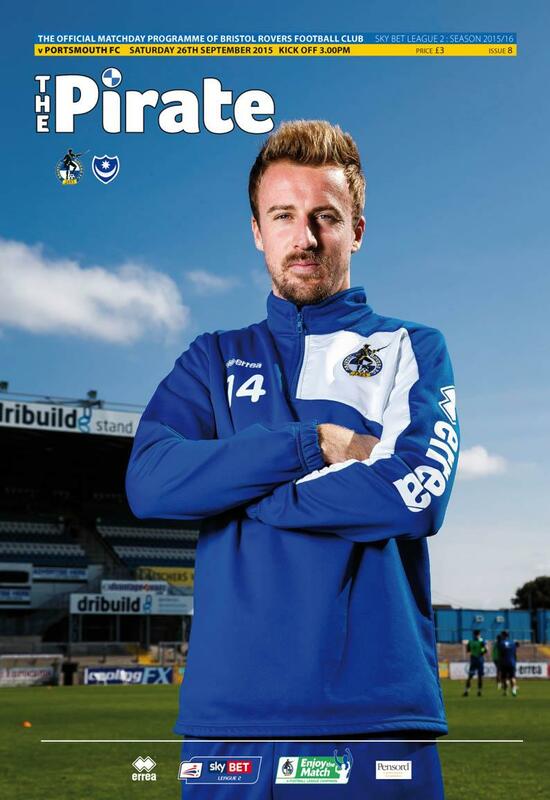 Please contact our Programme Editor, Keith Brookman on keithbrookman@bristolrovers.co.uk.